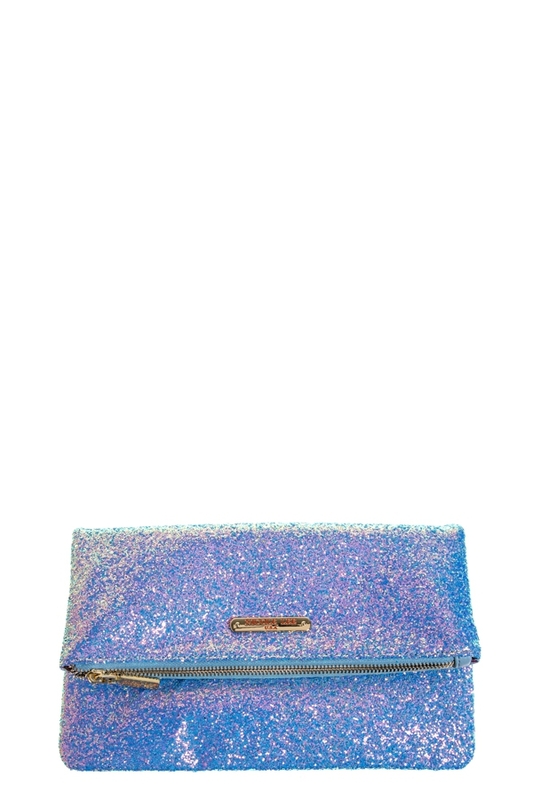 Your shining style in this Nicole Lee Alayna Bifold Glitter Clutch gets you noticed. Exterior Features: Bifold style with multi tone glittery fabric. Metal zipper closure with NL monogrammed zipper pull. Metallic snap closure. Detachable link chain shoulder strap. NL nameplate at front. Interior Features: Two compartments. Zip wall pocket at back. NL nylon lining. Includes detachable 47" inch shoulder strap.